"Space, the final frontier. These are the voyages of the starship Enterprise. Its continuing mission: to explore strange new worlds, to seek out new life and new civilizations, to boldly go where no one has gone before." 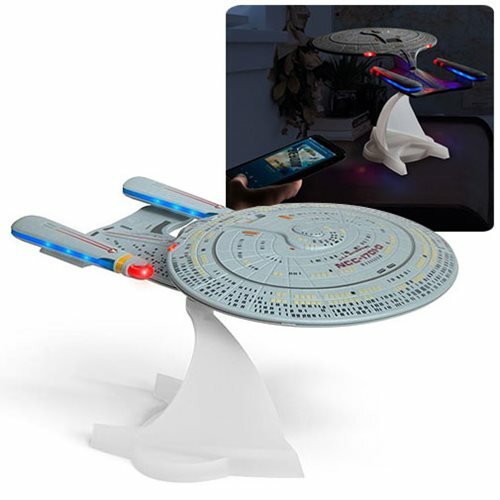 Fans can enjoy the soothing lights and sounds of the U.S.S. 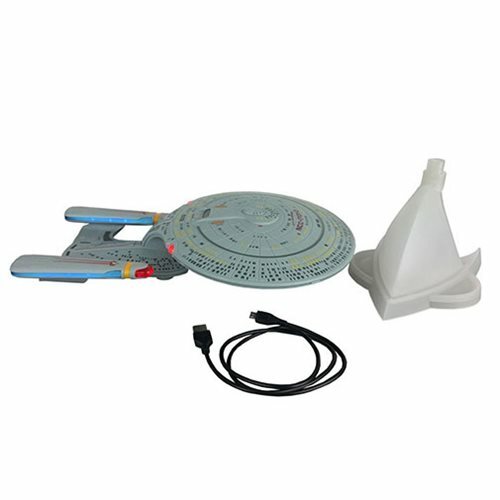 Enterprise 1701-D with this Star Trek: The Next Generation Bluetooth Speaker! Connect your smart device and listen to your favorite music or fall asleep to the soothing engine humming white noise. 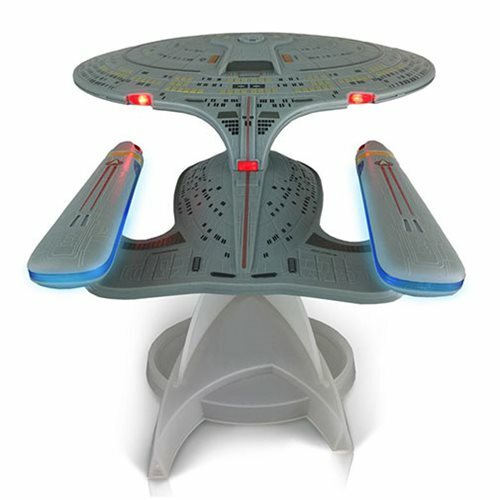 This intergalactic starship speaker features a 2 1/2- inch speakers, LED lights throughout the ship, and 5x sound effects that any Trekkie would recognize. The Star Trek: The Next Generation U.S.S. 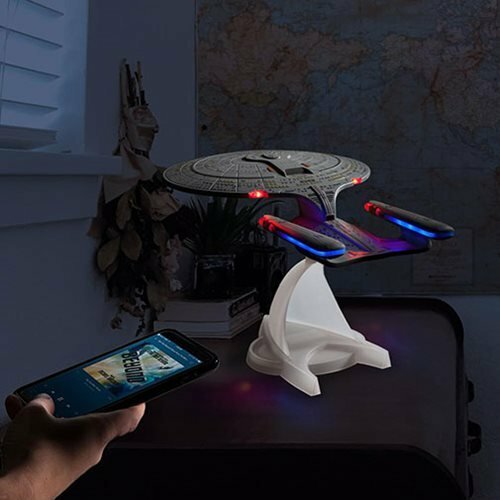 Enterprise 1701-D Bluetooth Speaker rests atop an acrylic stand shaped as the Star Trek Delta symbol so you can place it anywhere in your home and enjoy the greatness that is the U.S.S. Enterprise 1701-D! Item measures about 12-inches long x 8 1/2-inch tall x 7 1/2-inches deep. 1x Display stand Ages 14 and up.